Red Peak Is A Red Herring! This late inclusion of a nondescript piece of cloth into the new New Zealand flag debate is more about political one-upmanship than national identity. A flag (Canada's is an excellent example) is about an immediately recognisable design that has a key recognisable element. This so-called 'red peak' design lacks any immediacy or national identity. It is the latter, the fern, that is by far the obvious choice and is already widely recognisable as 'New Zealand'. I'll be voting for a design that includes it. If for some bizarre reason 'Red Peak' is chosen as the preferred alternative I will then vote for retaining the existing. 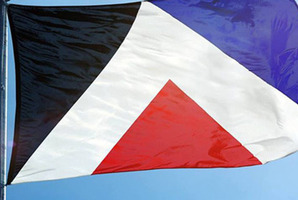 But perhaps that is the outcome that 'change the flag' critics & red peak supporters have been hoping for anyway? 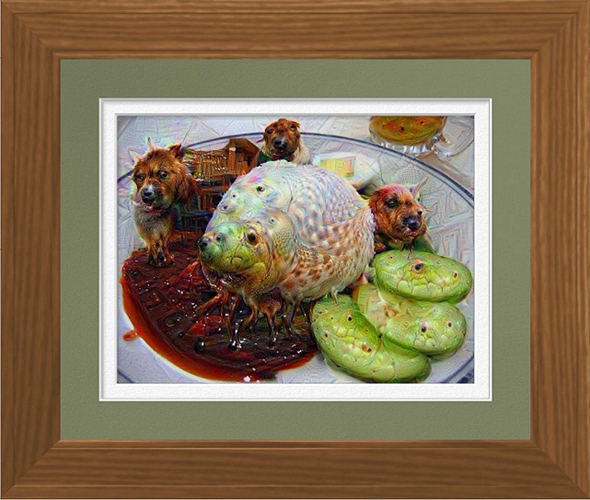 Nasi Lemak is one of my favourite food but I couldn't resist adding the odd surrealist flourish! This work used a twitterbot to start the process and I worked from there. For those who have had food poisoning from suspect chili paste this work may have a different interpretation.